So says Frank Holmes (www.usfunds.com) in edited excerpts from his original article*. Negative real interest rates and strong money supply growth are two key factors of what I refer to as the Fear Trade. Negative real interest rates occur when the inflationary rate, or CPI, is greater than the current interest rate. A quick account of the G-7 and E-7 countries [in the table below] shows that the majority have negative real interest rates. Simply put, investors in those countries who have parked their savings in cash and low-yielding investments, such as Treasury bills and money market accounts in the U.S., are actually losing money due to inflation. That can be tough for any investor, but when you’re the central bank of a country with millions of dollars in reserves, it can be catastrophic. This is why central banks around the globe have sought protection by diversifying their foreign-exchange reserves into gold bullion this year. 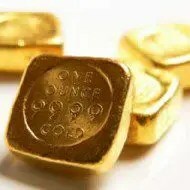 VTB Capital’s Andrey Kryuchenkov told The Wall Street Journal this week that, “Central banks are diversifying, and it has intensified to a rate that nobody had expected.” Latest estimates predict global central banks will purchase between 475-500 tons of gold in 2011. This amount of capital flowing into gold has the potential to push prices up a level in 2012. John Mendelson from ISI Group sees gold prices reaching $2,200 an ounce during the first six months of 2012. While real interest rates look to remain in the red for the foreseeable future, many of these same countries are printing record amounts of “green” with accommodative monetary policies. U.S. Global’s director of research John Derrick says central banks around the world have focused their attention on stimulating growth. Beginning with Brazil’s interest rate cut in late August through the European Central Banks (ECB) cut this week, there have been 40 easing moves by global central banks, according to ISI Group. John says this also means we will likely see more quantitative easing in 2012. The Bank of England has already started its quantitative easing, and many experts believe the ECB and the Federal Reserve will follow in its footsteps. As central banks print money and increase supply, currencies become devalued. Whereas in the recent past, one currency may be reduced in value compared with other currencies, this time there is global competitive devaluation as excess liquidity is put into the system. Historically, this excess liquidity has made its way to riskier assets, i.e. stocks and commodities. Gold is generally a benefactor of this flight to riskier assets as many investors see it as a store of value. This chart illustrates the interconnectivity of gold and global money supply growth. However, [the above] image doesn’t tell the whole story. While the price of gold has followed the same upward path as money supply over the past 14 years, it hasn’t been able to keep pace with M2 growth, says the Bloomberg Precious Metal Mining Team. In fact, if the global money supply were backed by gold, gold prices would be much higher, according to Bloomberg. The yellow line below shows how gold would be greater than $5,000 per troy ounce if just half of global money supply were backed by gold. If all of the money supply in the world were to be backed by gold, the price of one troy ounce would need to rise above $10,000. It’s unlikely, of course, that this will happen, but it serves as a useful illustration for the disappearing value of the world’s fiat currencies. The beneficiary of this type of event has historically been gold. 2. We Have Reached the End of the Road and are Staring into the Abyss! Got Gold? Next New Analysis Suggests a Parabolic Rise in Price of Gold to $4,380/ozt.